Many people aren’t familiar with the function of this part of the vehicle’s construction and too often they don’t even know it is there or that it can get damaged. Oil pans are extremely important, because in their essence they act as a kind of frame to the engine of the vehicle. There isn’t any need to go into further explanation of the construction and general function of this part, but it is important to know, that oil pans must at all times be kept intact. Changing a faulty or leaky oil pan should be a priority. 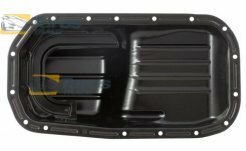 Here you will find oil pans for many different models of vehicles, so that you can quickly get your vehicle in a good shape for driving by ensuring the secure work of its engine. 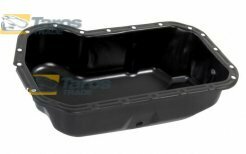 Don’t postpone the important repair of the oil pan, but order the part right now. We will deliver it quickly and you can take care of the problem by yourself or ask a professional.